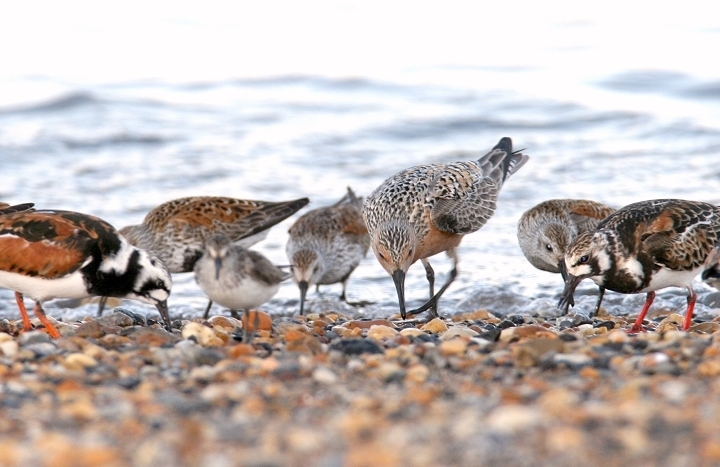 Above and below: Dunlin forage near a pair of spawning Horseshoe Crabs on Delaware Bay. 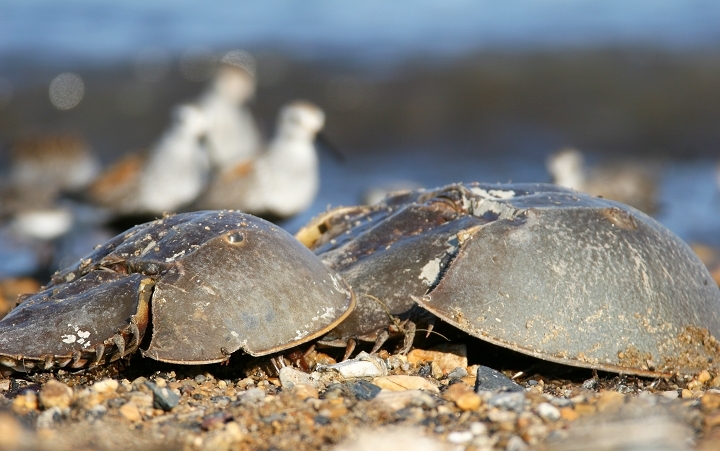 Thousands of shorebirds feed on the Horseshoe Crabs' eggs, and depend upon this annual feast to fuel their long northward migrations (5/20/2006). 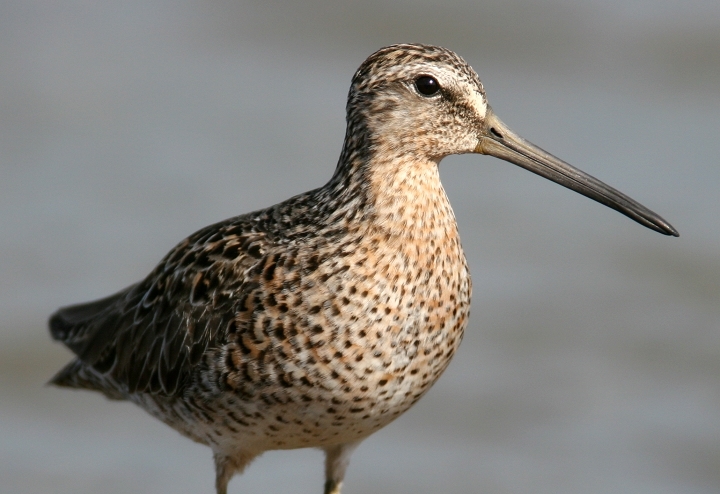 Below two: The endangered Red Knot, in particular, depends on the Horseshoe Crab eggs on its journey north. 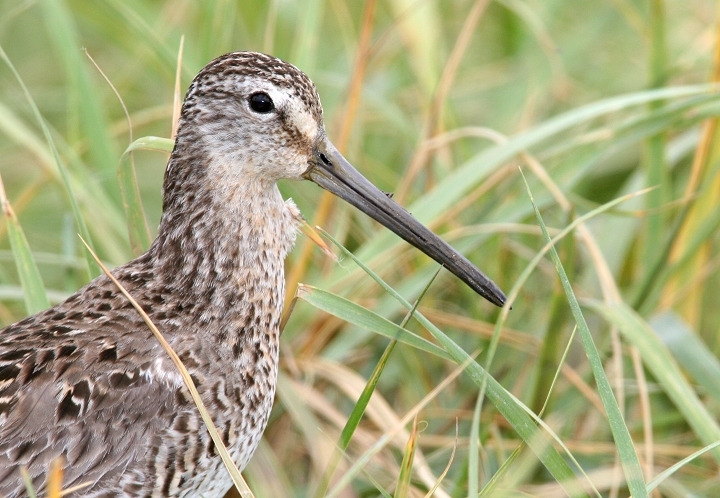 Please contact the American Bird Conservancy to help protect this species. 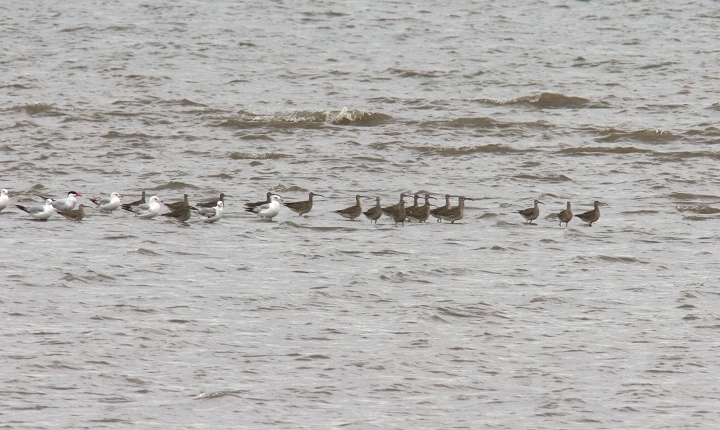 Photographed along Port Mahon Road, Delaware (5/20/2006). 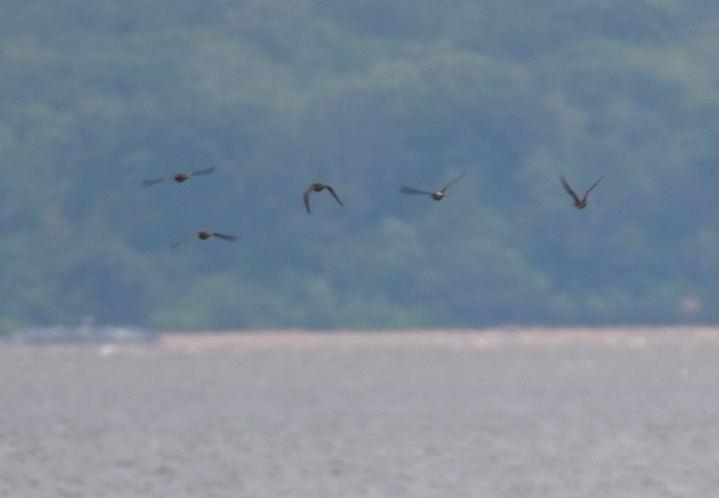 Above: Red Knot in focus, third from the right. 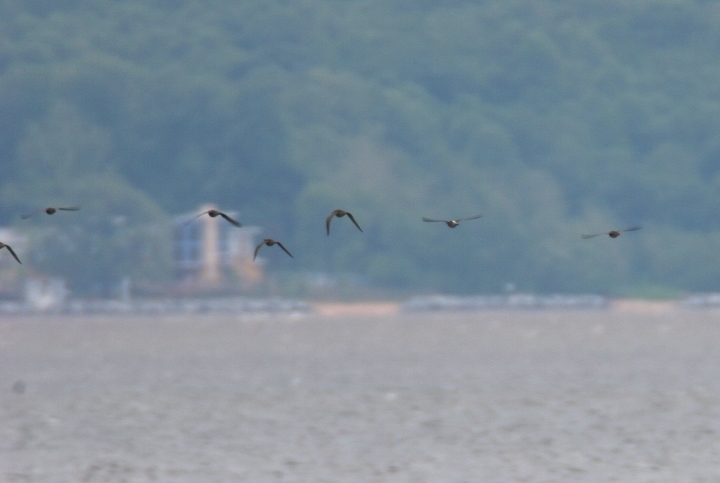 Below: To the right of a Laughing Gull. 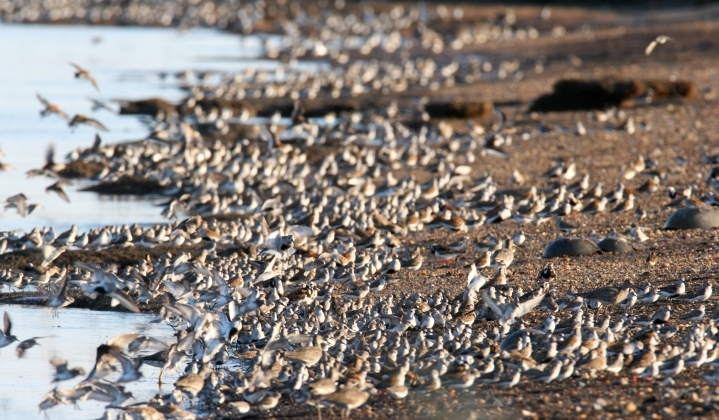 Below: Thousands of shorebirds feeding along Port Mahon Road, Delaware (5/20/2006). 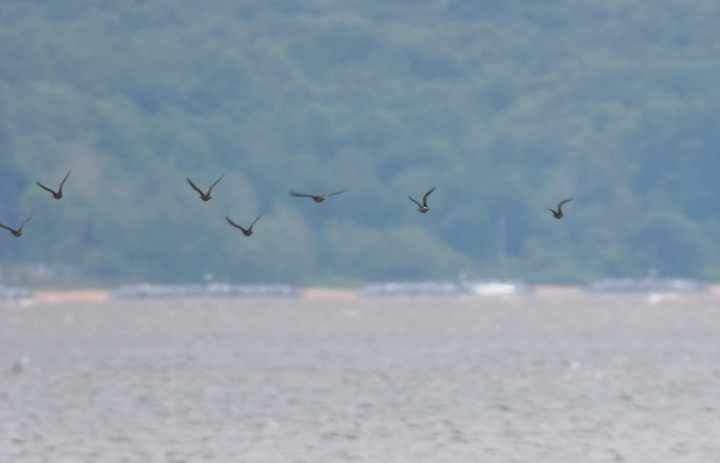 Below three: Short-billed Dowitchers stopping over on Delaware Bay (5/20/2006). 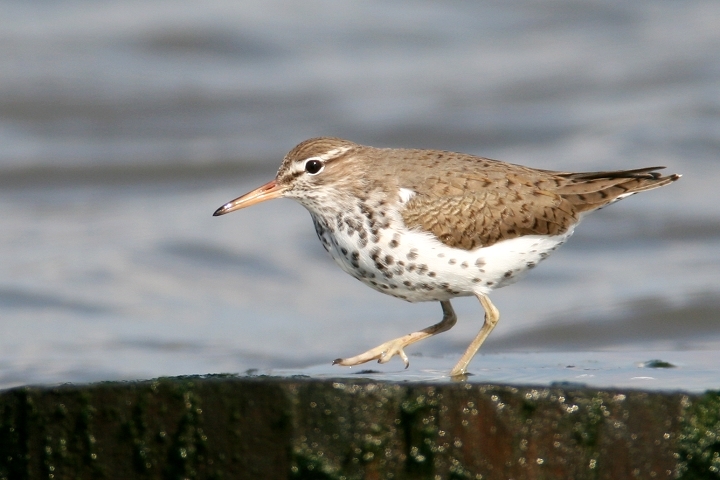 Below two: Spotted Sandpipers along Port Mahon Road, Delaware (5/20/2006). 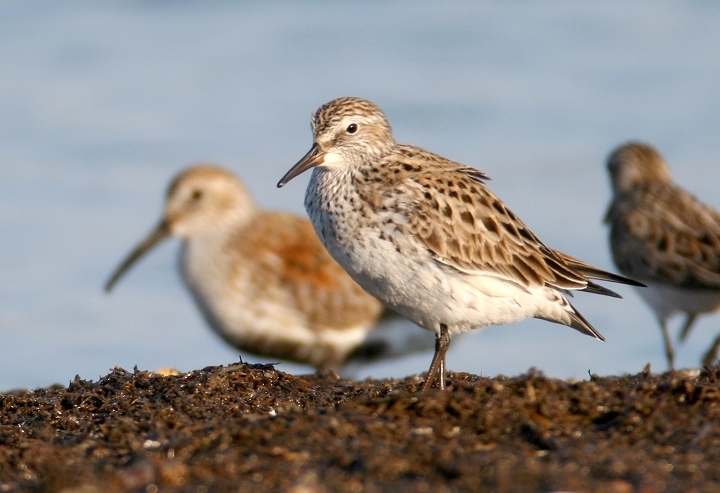 Below: A White-rumped Sandpiper was an expected find among the great numbers of shorebirds (Delaware Bay, 5/20/2006). 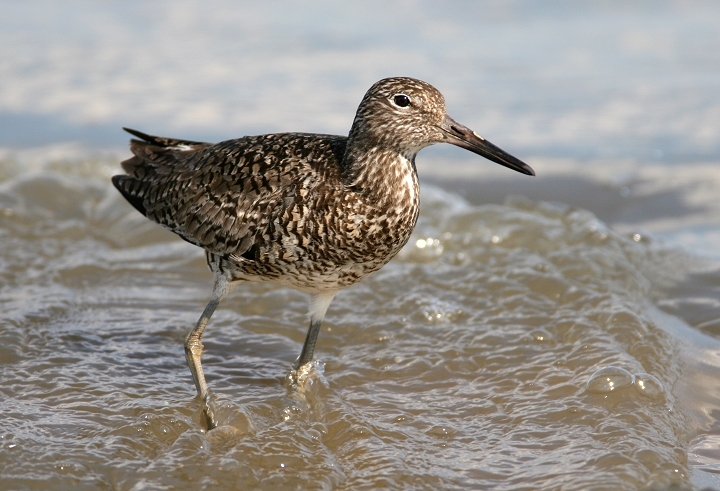 Below: A larger shorebird, a Willet, resists the incoming tide while foraging (Delaware Bay, 5/20/2006). 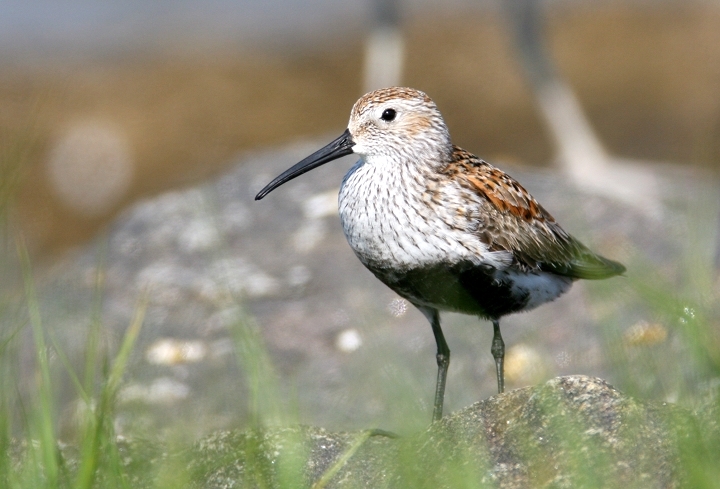 Below: A beautiful breeding-plumaged Dunlin rests between binge-eating (Delaware Bay, 5/20/2006). 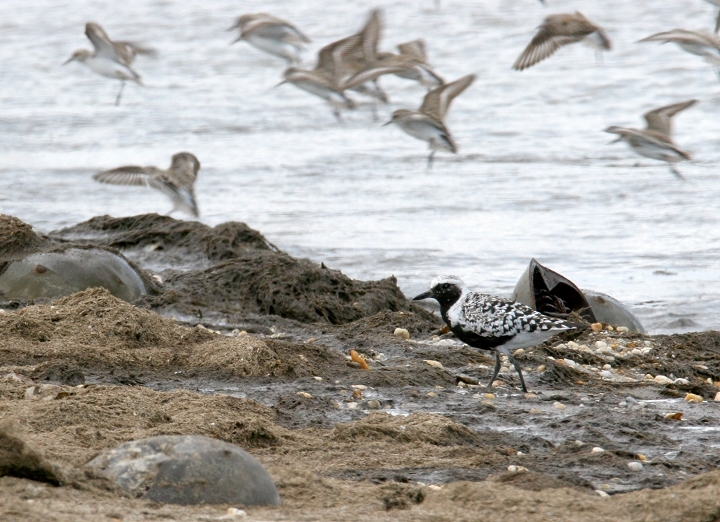 Below: A Black-bellied Plover in near breeding plumage forages among the masses (Delaware Bay, 5/20/2006). 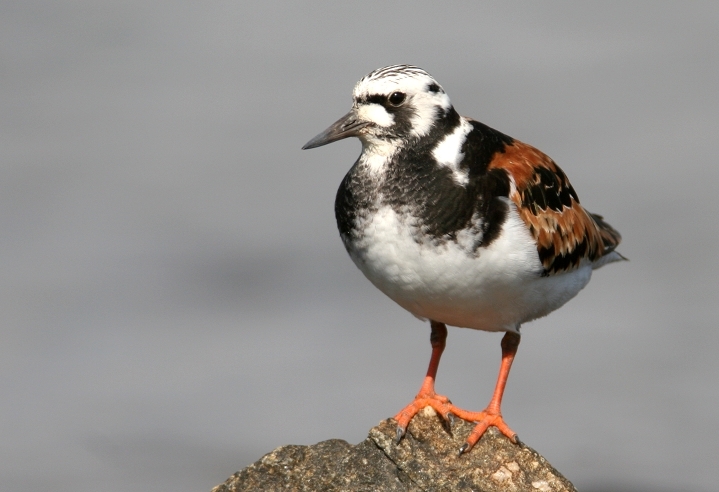 Below four: Shorebirds are not the only birds that take advantage of such abundance. 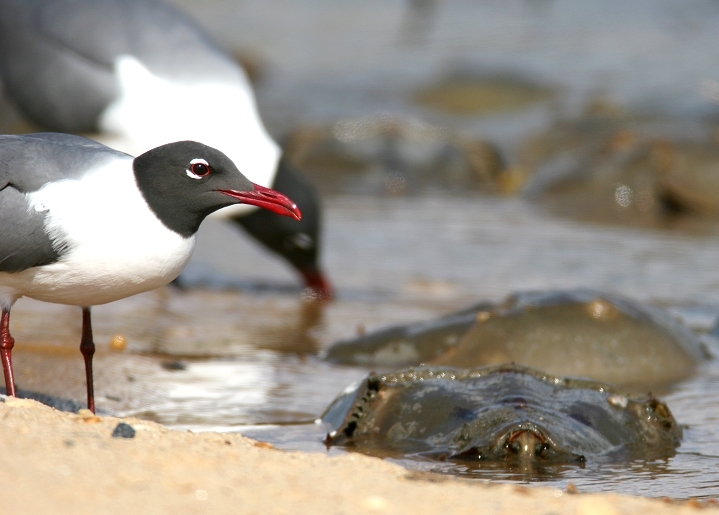 Huge numbers of Laughing Gulls also gorge themselves and harass the smaller shorebirds. 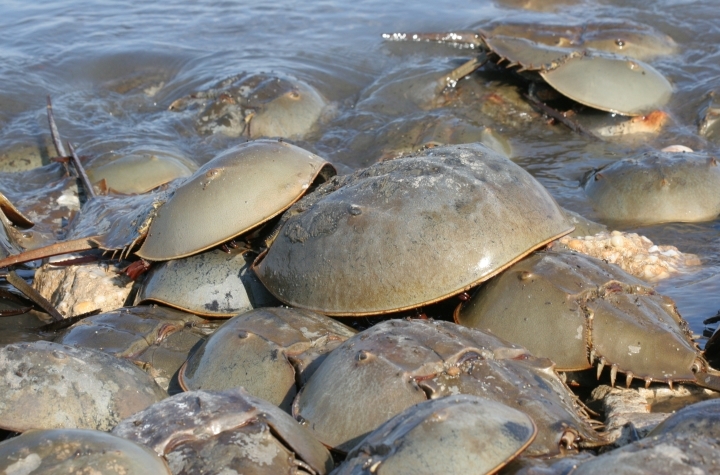 (Delaware Bay, 5/20/2006). 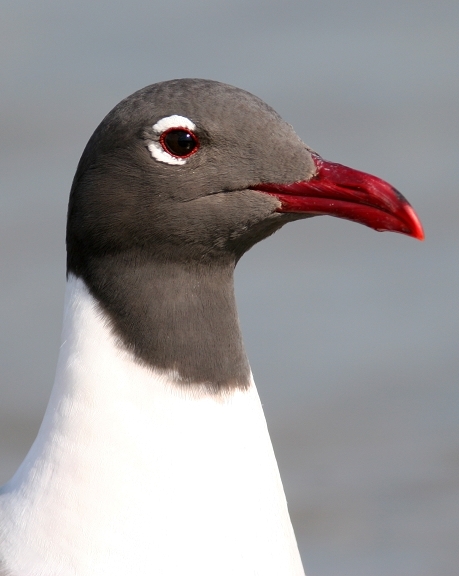 Below: A Laughing Gull poses for a portrait (Delaware Bay, 5/20/2006). 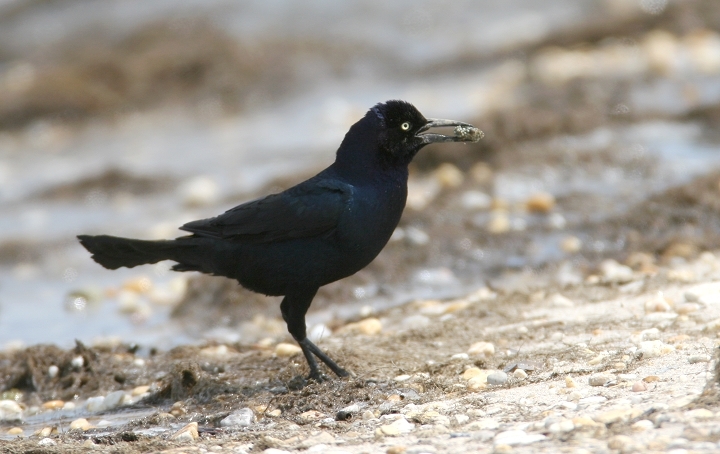 Below: A male Boat-tailed Grackle pauses for a moment before gulping a few dozen Horseshoe Crab eggs (Delaware Bay, 5/20/2006). 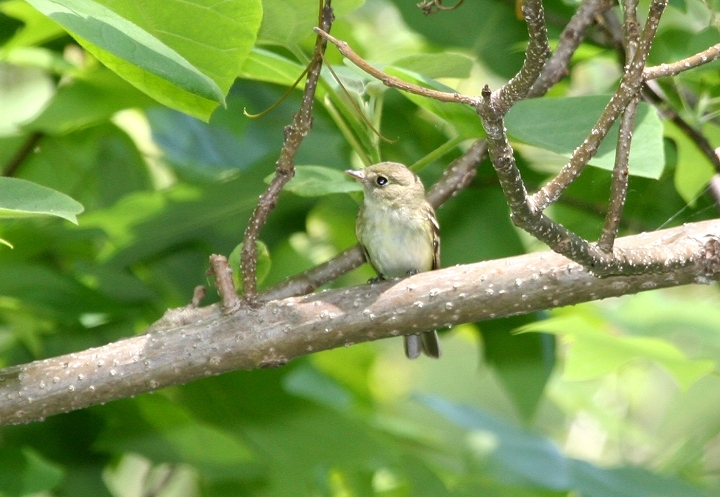 Below: An Acadian Flycatcher in Harford Co., Maryland (5/21/2006). 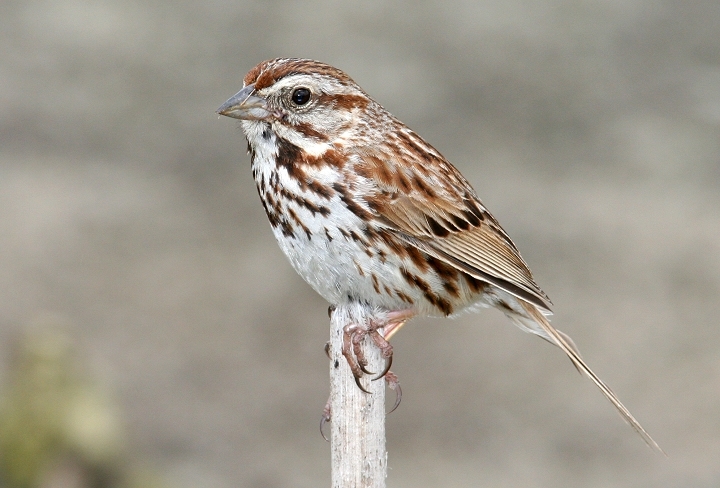 Below: A recently fledged Song Sparrow at Swan Harbor, Harford Co., Maryland (5/21/2006). 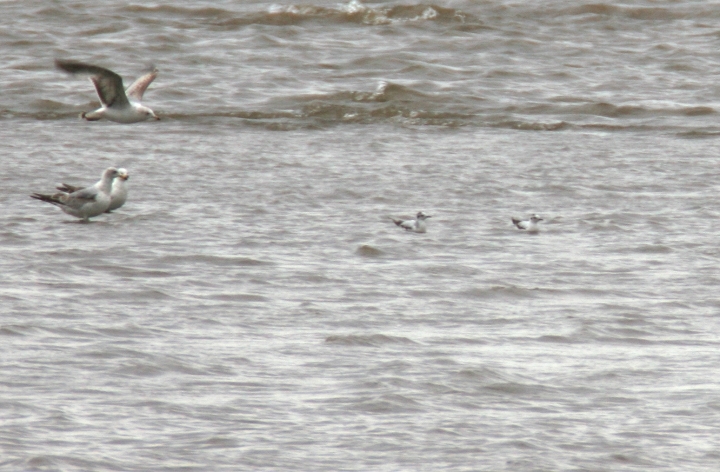 Below: Documentation photos of two unexpected LITTLE GULLs at the Tydings mudflats, Harford Co., Maryland (5/21/2006). 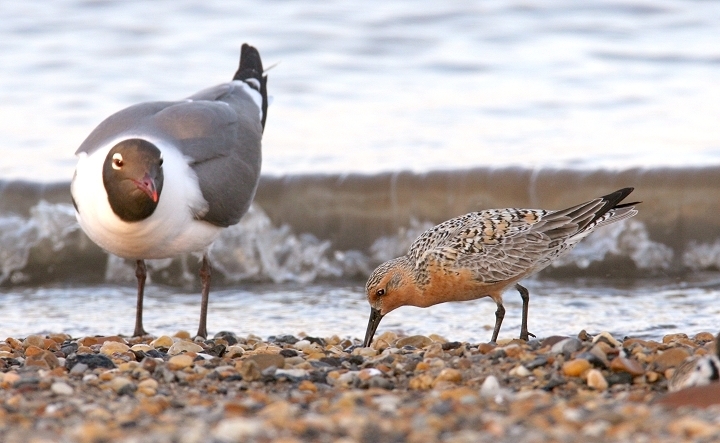 Kudos to Matt Hafner, who quickly ID'd these two amidst much distraction! 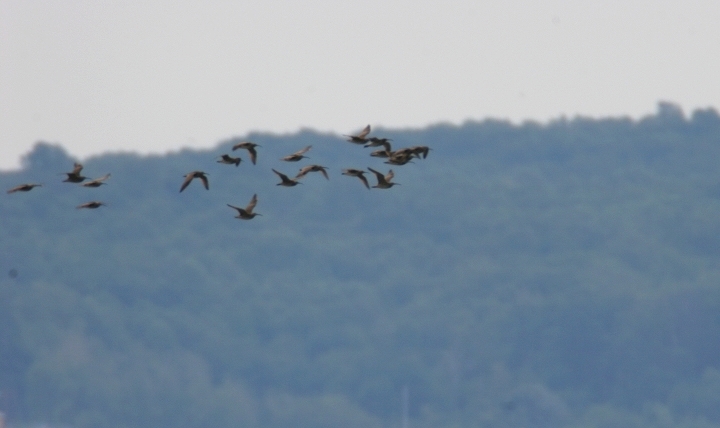 Below six: Documentation photos of a far more unexpected find: Maryland's first EUROPEAN WHIMBREL, photographed at the Tydings mudflats, Harford Co., Maryland (5/21/2006). Click any of the below images to view the full-size image. 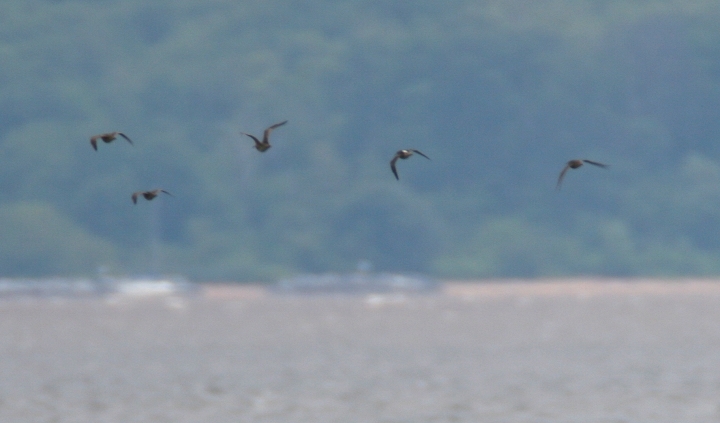 The top two photos show 20 Whimbrel--19 American and 1 European. We have yet to closely analyze these first two to try to identify the European. 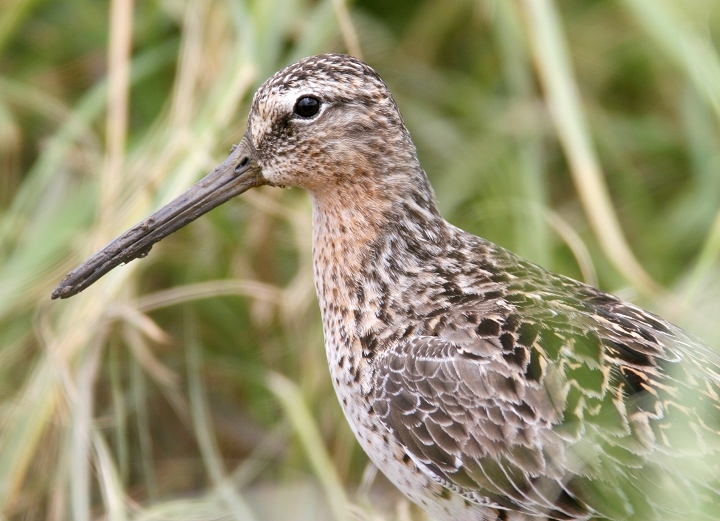 The remaining four images show the diagnostic white rump of the European Whimbrel. 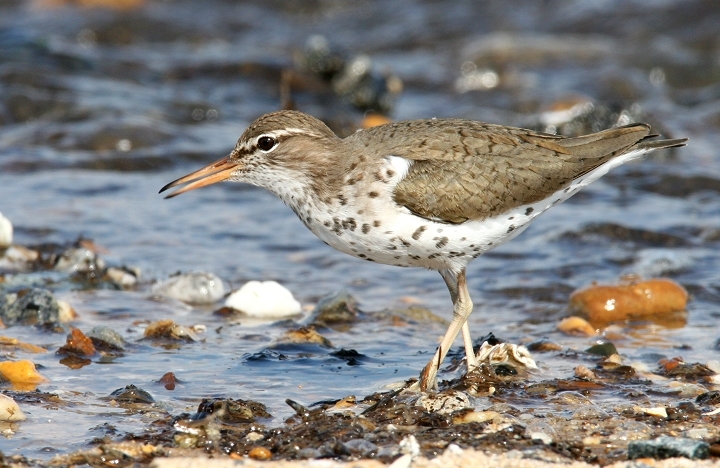 This bird was co-discovered and documented by Jim Brighton, Mike Burchett, Matt Hafner, John Hubbell, Bill Hubick, Dave Powell, Jim Stasz, and Dave Ziolkowski. Good job to everyone on this excellent first state record, especially to John Hubbell and his sharp eyes!